I’m always asked if I have a favorite wedding and I am being completely honest when I tell you that I really don’t. Every wedding is unique–as it should be–and my job is to put the special touches on each celebration that make it a real reflection of the bride and groom and all the love and joy they are bringing to their own special day. 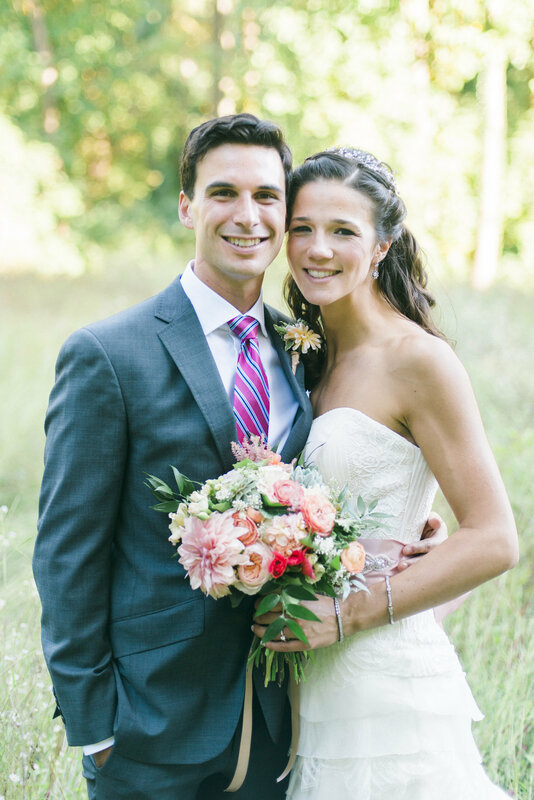 But…if I had to pick just a few, Loren and Sam’s September wedding would definitely be at the top of the list! 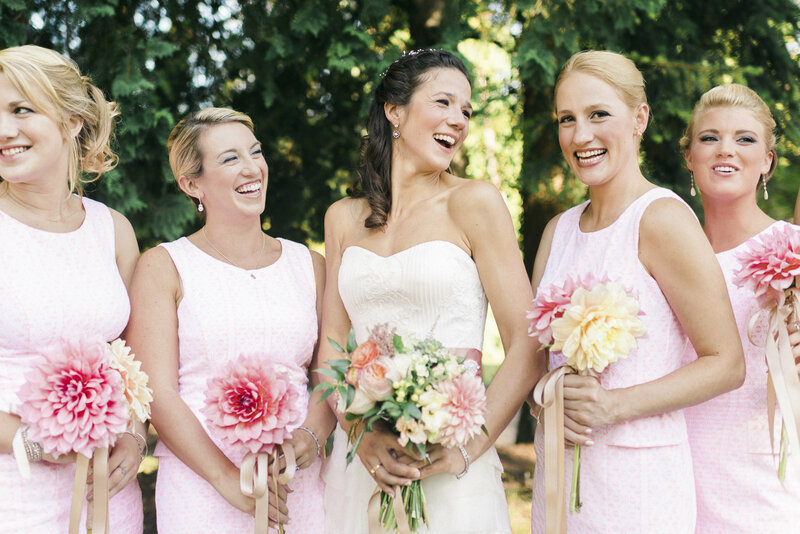 Not only were Loren and Sam a blast to work with, but I also had the added bonus of getting to work so closely with the groom’s mother, my good friend Dana Slater and–best part of all–I was also a guest! 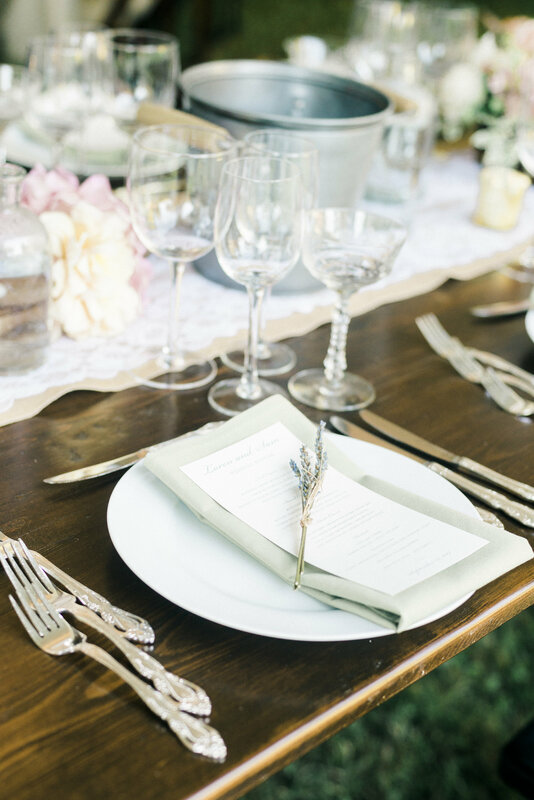 The groom’s parents hosted the wedding reception at their home and it was a magical evening. The grounds were beautiful– a fairy tale setting of twinkling lights carved into the hillside, a chandelier-lit tent and rustic farm tables. The food was amazing. Beej Flamholz catered a unique wine-inspired farm-to-table dinner that featured local fare paired with the perfect wines. Kate Taylor of Kate Taylor Events (event planner extraordinaire) planned and orchestrated another flawless event. She’s amazing–really, best in the business. 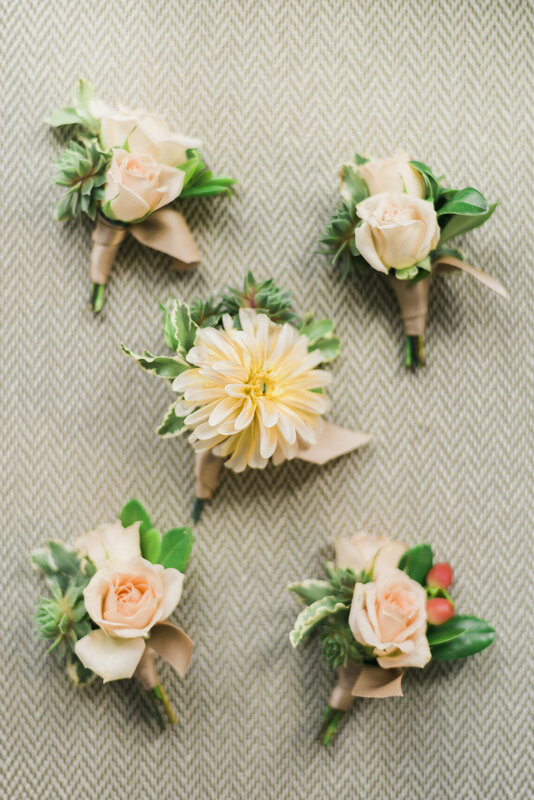 For me, the florist, the best part is always the flowers and we were thrilled to be able to get our very favorite fall flower–those breathtaking local dahlias. They were everywhere and couldn’t have been a better complement to the evening’s decor. Bridesmaids carried them, we filled rustic boxes with them, they trailed from decor on the tent and the smallest of them were mixed with ranunculus and spray roses for some gorgeous bouts and corsages. 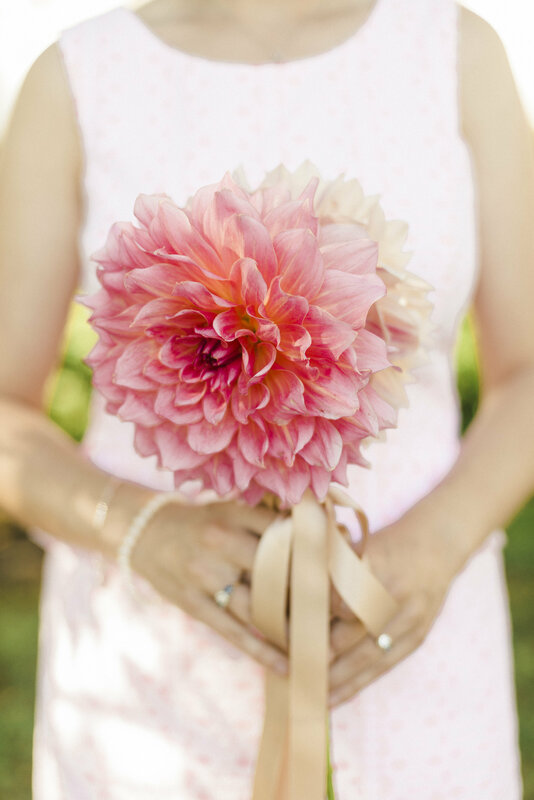 These amazing, spectacular, unbelievably gorgeous dahlias we get from a local grower made the perfect maids’ pieces. We placed two back-to-back and wrapped in champagne ribbon. So fun! 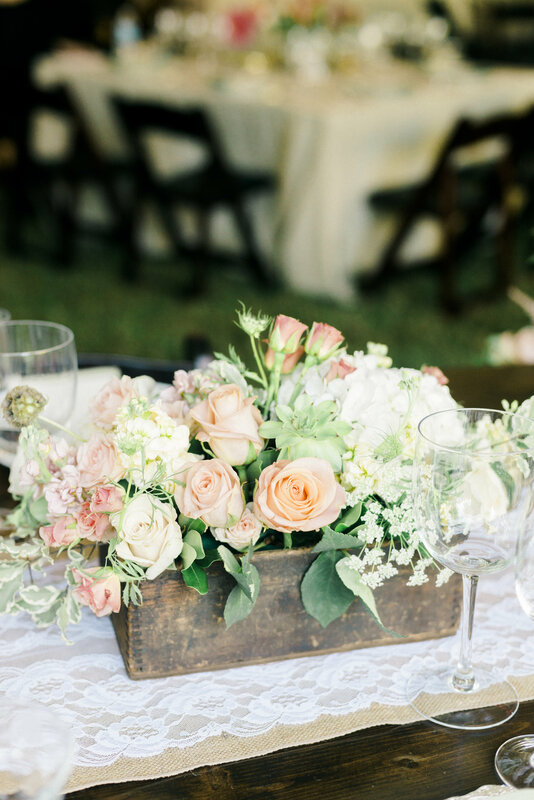 Loren loves a rustic, organic look and succulents added to the bouts and some of the centerpieces made for the just the right accent to a palette of soft pinks and peaches. It was a perfectly lovely evening, a wonderful celebration for Sam and Loren, and such a privilege for me to be a part of it in some small way. Special thanks to Krista Jones of Krista Jones Photography for allowing me to share these photos with you. Huge congrats to Sam and Loren!